Product prices and availability are accurate as of 2019-04-05 23:15:56 EDT and are subject to change. Any price and availability information displayed on http://www.amazon.com/ at the time of purchase will apply to the purchase of this product. 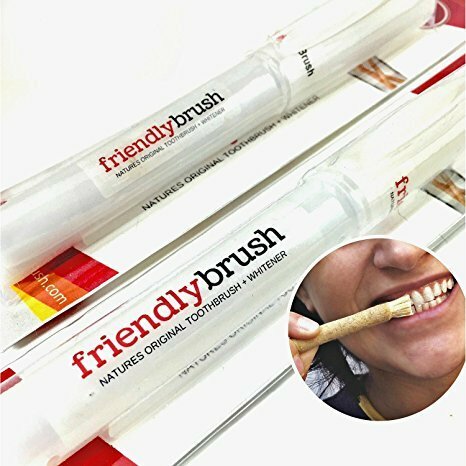 Meet Friendly Brush Miswak. The Original Toothbrush & Tooth Whitening Kit. 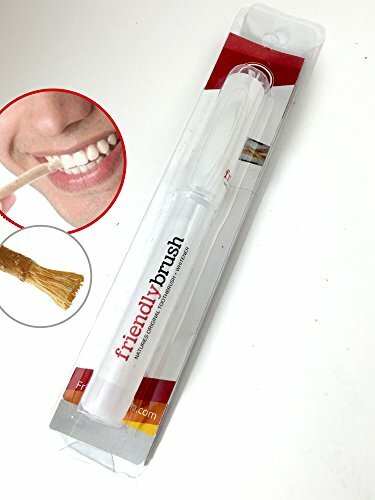 The FriendlyBrush Miswak stick is your 100% natural all-purpose organic toothbrush, toothpaste, mouthwash, floss, and remarkable teeth whitener all rolled into a tiny little stick. 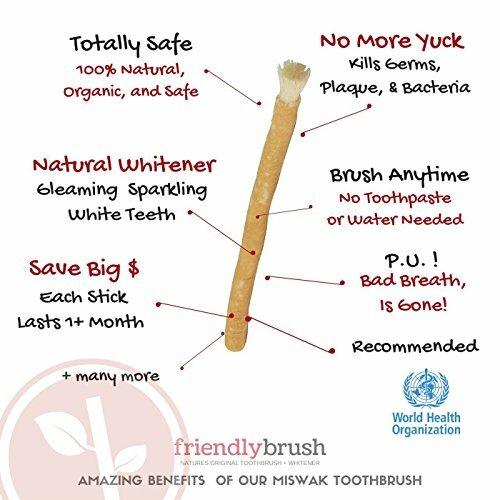 Miswak toothbrush sticks have been traditionally used for thousands of years and now you! Our FriendlyBrush brand of Mistakes are grown and harvested from the Salvadora Persica Tree in naturally pure soil that is tested for any foreign pesticides. These sticks contain naturally occurring fluoride (2x what is found in toothpaste), which kills bacteria in the mouth, freshens up your breath, and whitens your teeth. - Kit contains (1) Friendly Brush Miswak with holder which will last 4-6 weeks + (1) BONUS freshly harvested miswak stick.